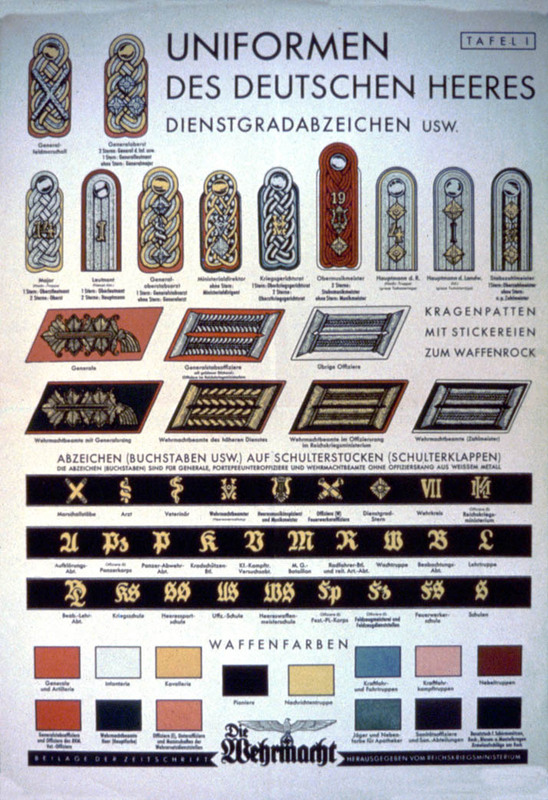 A uniform chart with depictions of epaulets, badges, and other uniform parts. Poster Text: UNIFORMEN / DES DEUTSCHEN HEERES / DIENSTGRADABZEICHEN USW. / TAFEL 1 / . . . [Uniforms of the German Army - Rank insignia, etc. - Plate 1 . . .].